Coughing incessantly may cause nausea. Nausea may make you vomit if it becomes severe enough. Certain herbs and medicines can help relieve the nausea symptoms associated with coughing. If your cough is persistent enough, speak to your doctor about the cause of your cough and a possible solution to help your cough go away for good. Ginger can help relieve nausea, according to the American Cancer Society. It has long been used to treat stomach upset, loss of appetite and motion sickness. Ginger also helps to relieve the onset of nausea brought on by chemotherapy treatments and may help to reduce vomiting. Sometimes surgery patients and pregnant women use ginger to help reduce symptoms of nausea. Ginger may impact blood clotting; ask your doctor if you can take ginger if you’re on blood thinners or other similar medications. Ginger may cause heartburn, upset stomach, gas and bloating. Ipecac, also known as Ipecacuanha, helps relieve nausea associated with coughing, according to the University of Maryland Medical Center. Certain cough syrups contain Ipecac as an ingredient, according to Drugs.com. Ipecac may induce vomiting so only use it as instructed by the product label or as directed by your physician. It’s typically used for those who experience a deep, wet cough along with nausea and gagging. Ipecac works especially well in infants with bronchitis, according to the University of Maryland Medical Center. When taking Ipecac, you may experience diarrhea, drowsiness and lethargy. Cloves are an aromatic spice typically grown in South America and areas of Asia. Cloves and clove oil may help reduce nausea, ease cold symptoms and allergies as well as improve digestion and fight intestinal parasites, according to the American Cancer Society. Clove and clove extracts provide antioxidants which help destroy the free radicals that can damage cells. 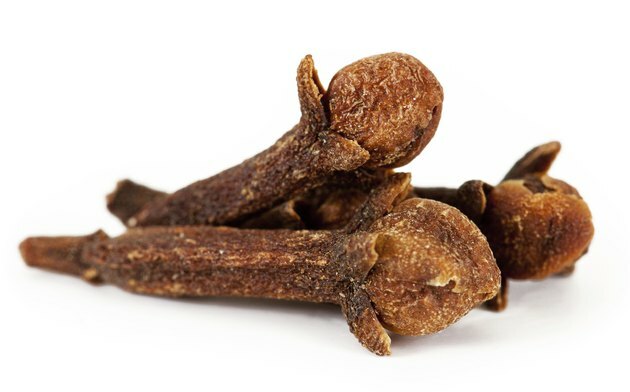 The active ingredient in cloves is called eugenol. Avoid taking cloves if you are allergic to eugenol. Clove supplements may cause bleeding if you take blood thinners. Pregnant women are advised not to take cloves as the safety of cloves during pregnancy is unknown. Undiluted clove on or near your teeth may cause damage or irritation to your gums and mouth. Undiluted clove can also cause rashes, skin irritation and burns, according to the American Cancer Society.